Think about it... 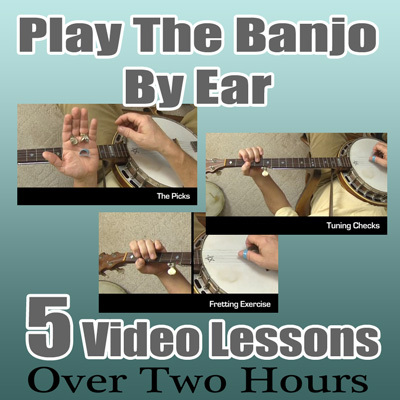 Most of the great banjo players, people like Earl Scruggs and Ralph Stanley, DID NOT learn to play using written tablature so why must you? If TAB is failing you, don't give up until you try my no-tab, play by ear method. Note: The video files are pretty large (704 MB) so it is best to download to your home computer and be patient for the download process to complete. You'll download a .zip file which will contain a folder with all 5 videos and the written PDF materials.